Land Registry and LSL refer to Nov data. 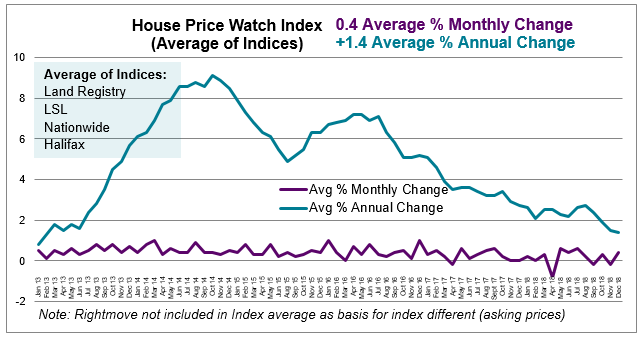 Other indices refer to Dec house price data. 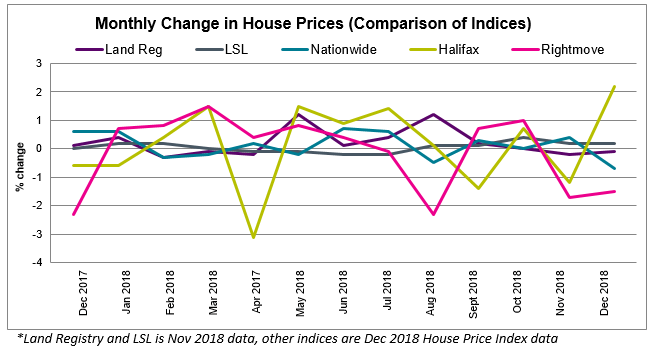 The average of the major indices indicates house prices are up over the past month (0.4%) and the average rate of annual house price growth has slowed further to (1.4%). This is the slowest rate of average annual house price growth since February 2013. (Rightmove is excluded from the average). Regions with the biggest annual rise in house prices include: Wales (4.6%), West Midlands (4.6%), East Midlands (4.4%), South West (4.3%). 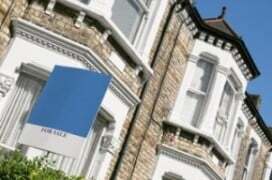 London has experienced a fall in house prices this year (-0.7%). 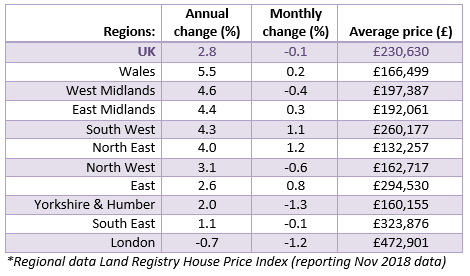 Nationwide: “UK house price growth slowed noticeably as 2018 drew to a close, with prices just 0.5% higher than December 2017. It is likely that the recent slowdown is attributable to the impact of the uncertain economic outlook on buyer sentiment. Near term prospects will be heavily dependent on how quickly this uncertainty lifts, but ultimately the outlook for the housing market and house prices will be determined by the performance of the wider economy – especially the labour market. The economic outlook is unusually uncertain. However, if the economy continues to grow at a modest pace, with the unemployment rate and borrowing costs remaining close to current levels, we would expect UK house prices to rise at a low single-digit pace in 2019”.